Blog Entry: Fan Art Mail! Nothing like getting unexpected mail with fan art to brighten my day. I was just about to announce my new space on my official website for a gallery of Polly and the Black Ink when I got these beautiful drawings! 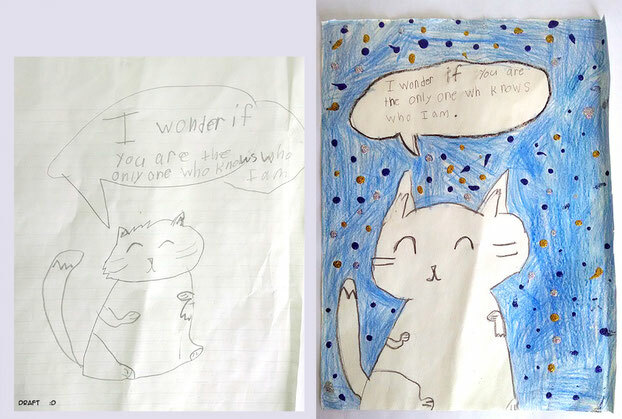 Notice how the young artist made a draft and planned the work first, this is too precious! See all the art I got today... click to enter gallery.